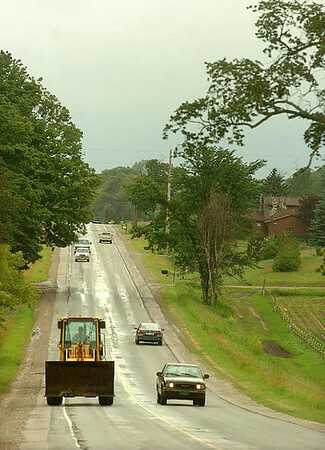 Doug Gallagher chugs along the shoulder of North Long Lake Road in his John Deere 4440. Despite the high cost of fuel prices, Doug has a fondness for tractors and has a collection of about a half-dozen. Doug's grandfather John Gallagher established the farm in 1905.